A little over ten years ago, I shared an update about a black pine I’d grown from seed (see “Recent pine work“). This was the first post in what became a bi-weekly blog about bonsai care and development. Today’s post is number 1000. To date I’ve shared 10,000 images and written 336,000 words. You’ve contributed 4,500 comments. Despite this output, I feel like I’ve barely scratched the surface of the topics I’d like to cover and the ideas I’d like to share. Since writing that first post, I’ve made a few updates to the Bonsai Tonight website. There’s now a subject index, a resource for beginners, and a forum. Post images are larger than before, and clicking on images opens a viewer that makes it easier to browse through photos (try swiping or using the arrow keys to move between images). I’ve also made the transition from bonsai as a hobby to a full-time profession. This work has proved challenging and fulfilling, and it’s given me the opportunity to meet and work with many of you – by far the best perk of the job. Although I’ve written more about pines than any other species, over the years I’ve developed an appreciation for many different kinds of trees, including broadleaf evergreens like oaks and azaleas. I look forward to writing more about these going forward. In the meantime, let me know what else you’d like to see here – am always looking for new ideas! Before moving on to the next post, I’d like to thank you, the readers of Bonsai Tonight, for your encouragement and support – I couldn’t do it without you. I’d also like to thank Bill Valavanis, Michael Hagedorn (the first commenter here), and all other bonsai professionals who share their understanding and appreciation of bonsai in writing. Above all, thanks to Boon Manakitivipart for getting me started in bonsai so many years ago and making this site possible. Anyone unfamiliar with the Texas bonsai scene might be surprised by the broad range of species in training in the Lone Star State. Alpine species, tropicals, and a variety of Texas natives are commonplace in Texas exhibits, and the recent LSBF/HBS/ABS event was no exception. 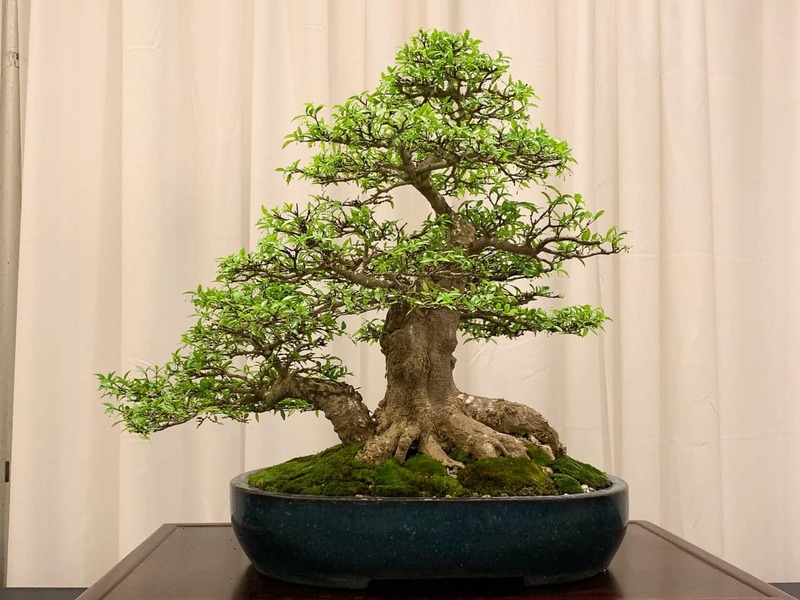 Seeing such a diversity of species calls attention to the different ways in which bonsai can grow and to the various techniques required to train them. Becoming expert, or even adequate, in one’s care of Texas bonsai can require considerable study – or at least a healthy curiosity. 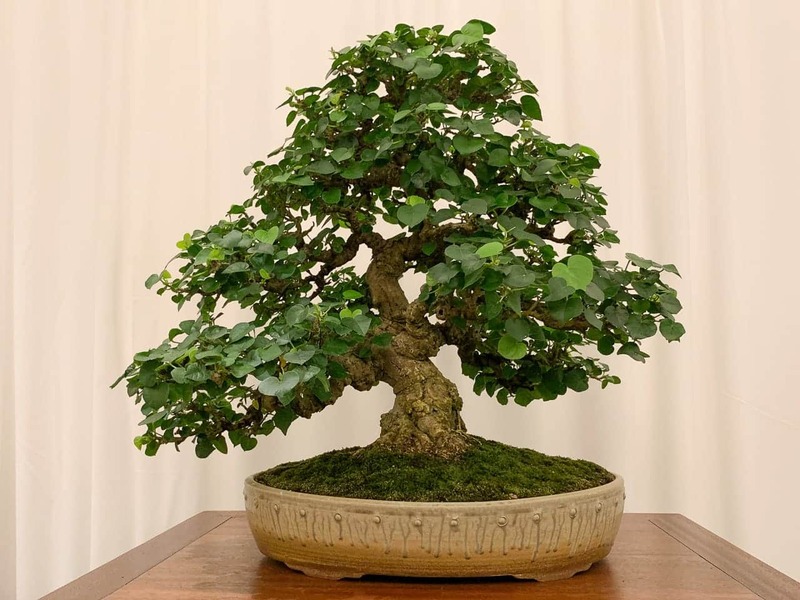 Further contributing to the exhibit were entries from The Texas State Bonsai Exhibition, a collection of impressive trees to be featured in a permanent collection in Austin’s Zilker Botanical Gardens. The convention exhibit included bonsai, suiseki, and a special kusamono, or accent plant, section. I’ll say more about the accents in a future post. 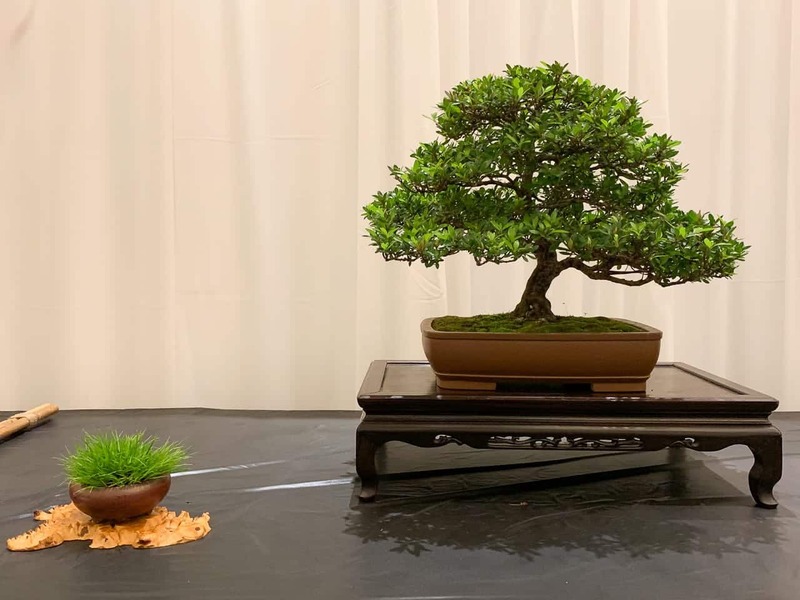 In the meantime, here are more entries from the 2019 Bonsai on the Bayou Exhibition.